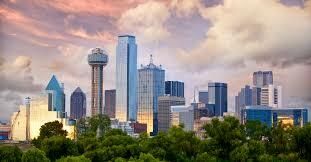 There is no doubt that the Dallas area market is softening. Overall sales in the market declined 1% but a number of the north Dallas suburbs fared much worse! I will be reporting on these cities over the next several week, so check back in to find what’s going on. Pending sales were down 2% as compared to last year at this time so September is not looking so good. The average sales price rose 5% while the median sales price climbed 4%. Prices have been moderating this year and we are seeing a substantial number of price reduction coming across as sales slow. If you need to sell your house in a reasonable amount of time then pricing is critical. Over price your home and it will just sit there. New listings increased 3% and the active listings climbed 15%. The months of inventory now stands at 2.8 months. This is still very tilted to the seller side. Information provided by The Real Estate Center.